We recently met up with our friends over at Wildfox to check out their flagship store in Los Angeles at the Sunset Plaza that opens today. The results? Pure eye candy! Scroll down for an exclusive virtual tour of this wonderland of a store, and be sure to check out our Q&A with Co-Founder and CEO Jimmy Sommers along the way! Can you give us a quick tour of the space? There’s a VIP fitting room, a vintage china display, an outdoor patio area to enjoy a cup of tea or coffee, a fireplace, a sunglasses bar where customers will soon be able to customize their own frames, and dressing rooms with shag carpeting. What were the influences behind the store's design/concept? It feels very Alice in Wonderland meets garden party. It started with the outside and it being very reminiscent of a chateau along with the garden. 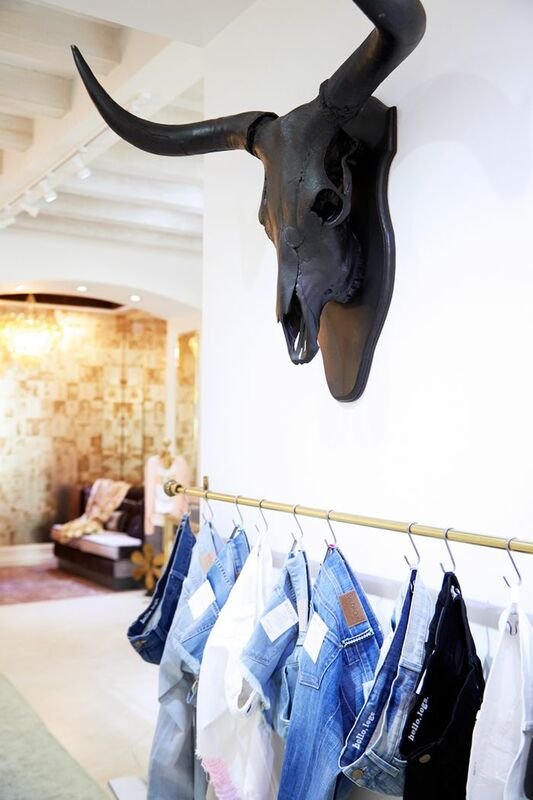 And when you enter the store, it’s like walking into every Wildfox girl’s dream closet. Where did you source all of the beautiful props? The props are all locally-sourced vintage pieces. What's the story behind the jewelry? What do you want the shopping experience to be like? The look of the store will change with the release of every collection so I want customers to experience each campaign photo shoot brought to life. Not in Los Angeles? That's ok! Scroll down to shop a few of our favorite Wildfox pieces.